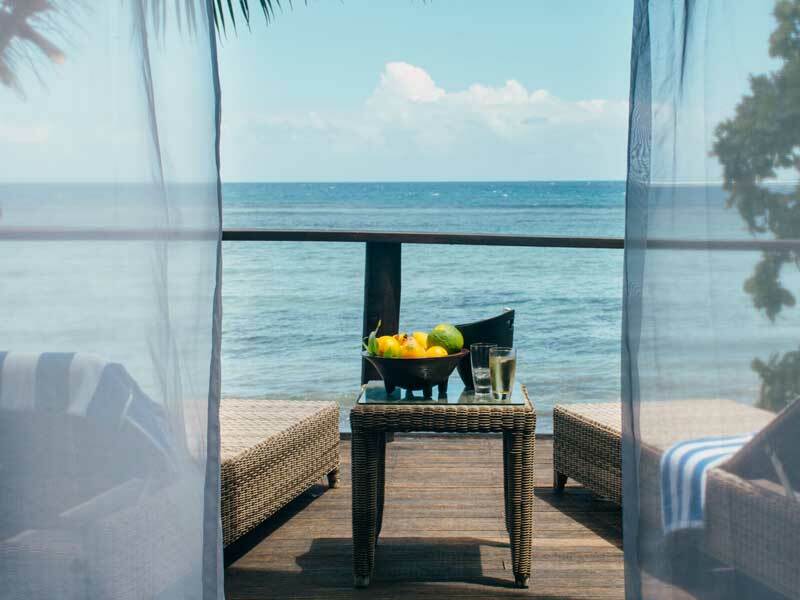 Retreat to paradise and discover the beauty of Sinalei Reef Resort & Spa. 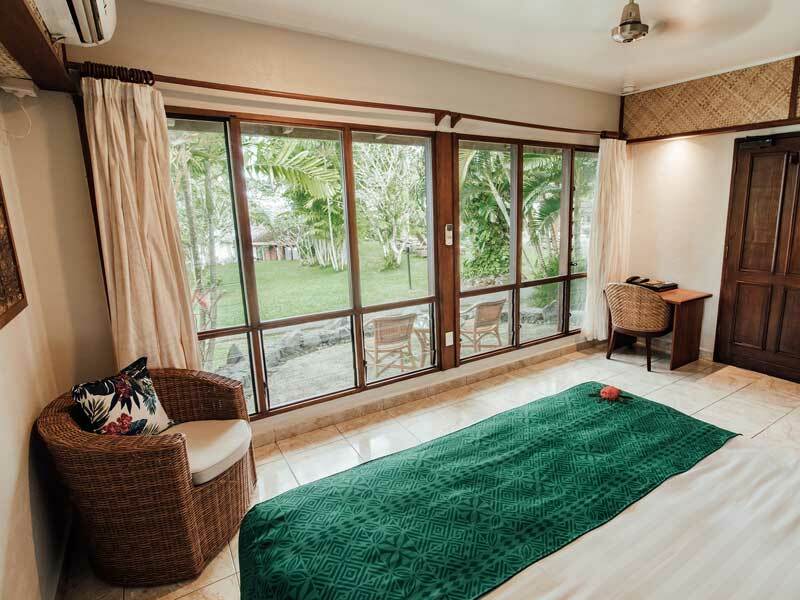 Nestled between a sheltered lagoon and the mountainous southern coast of Upolu Island, this boutique resort will quickly become your tropical home away from home! 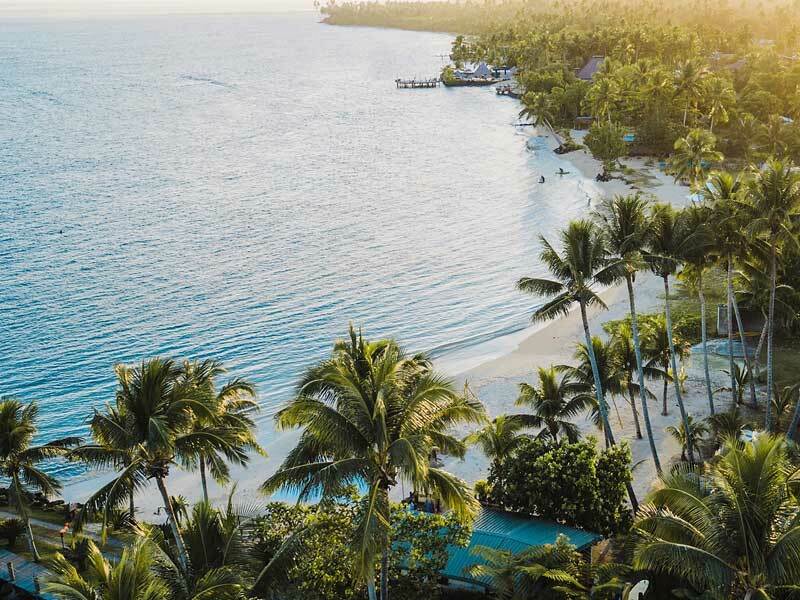 Sinalei Reef Resort & Spa spreads across 33-acres of beautifully lush gardens. It offers a unique mix of modern luxury and raw, natural beauty and boasts a range of guestrooms and facilities purpose-built for adults and adult families (children over 12 years of age only). The atmosphere is warm, welcoming and tranquil—enjoy sun-kissed days, star-filled nights and ample opportunities to indulge and unwind! Sinalei Reef Resort & Spa is home to 29 individual villas. Spread throughout the resort grounds, surrounded by tall palms and lush greenery and decorated with a unique mix of elegant European décor and Samoan fine art, these villas offer the ultimate island experience. Sink into plush bedding, enjoy the island’s breezes on your rustic patio, make use of the sunbathed, private outdoor shower and more. While there are no TVs in the villas, you’ll never be at a loss for something to do! Relax with a cocktail in hand by the ocean-facing pool; indulge at the Tui-I-Lagi Spa; snorkel, paddle or swim with private access to the lagoon and so much more! Why go to the Sinalei Reef Resort & Spa? 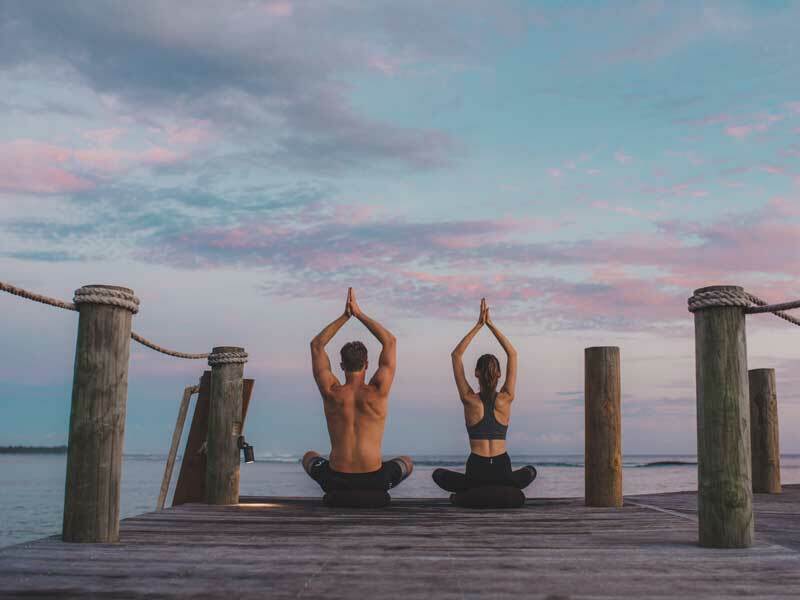 Sinalei Reef Resort & Spa is the place to go if you’re looking to escape the distractions of the modern world and completely unwind amidst supreme island luxury. 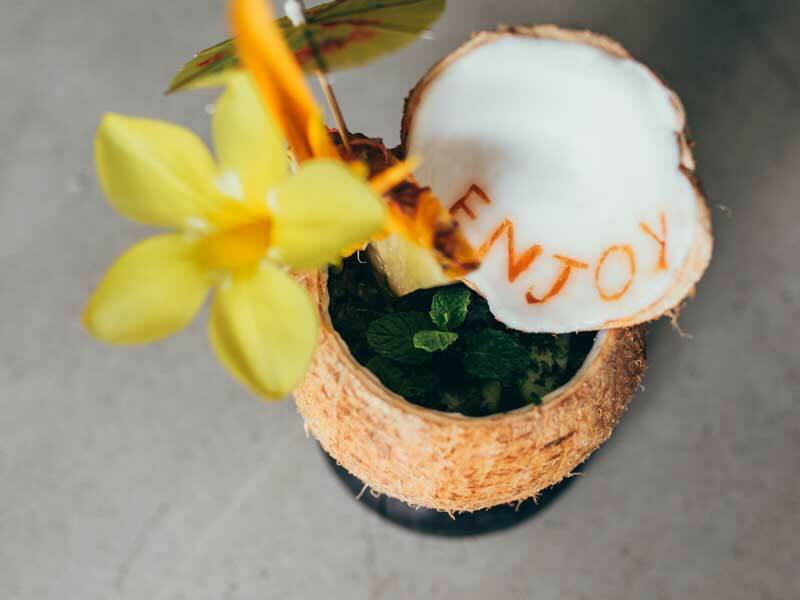 Soak up the sun by the pool, feast on fresh, local and honest 5-star food at the resort’s famed overwater restaurant, indulge in a drink or 3 at the bar or completely rejuvenate your mind, body and soul at the Tui-I-Lagi Spa. Sinalei Reef Resort & Spa also offers a range of signature experiences for guests to enjoy. 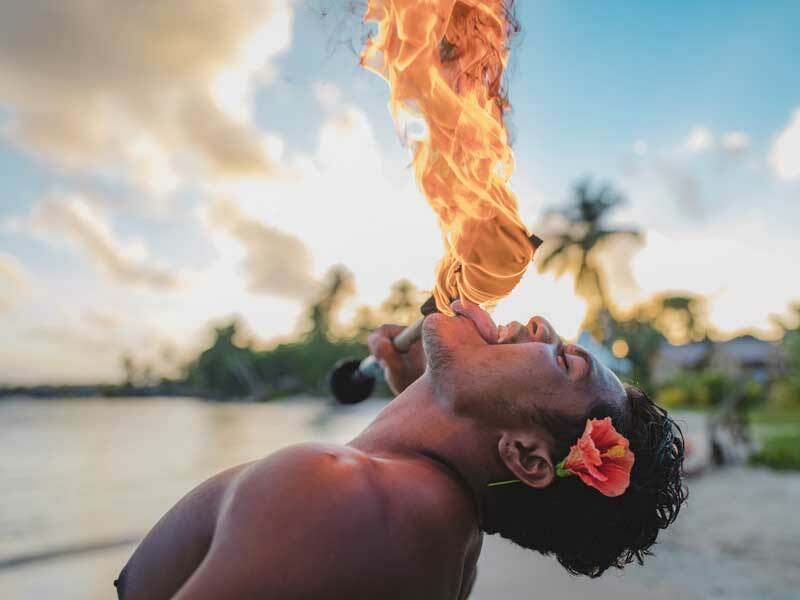 Dive into Fa’a Samoa (the Samoan Way of Life) with kava drinking ceremonies, traditional cooking and storytelling days. Play beach volleyball and rugby by the ocean, go on village tours, surfing trips or fish on the outer reefs. 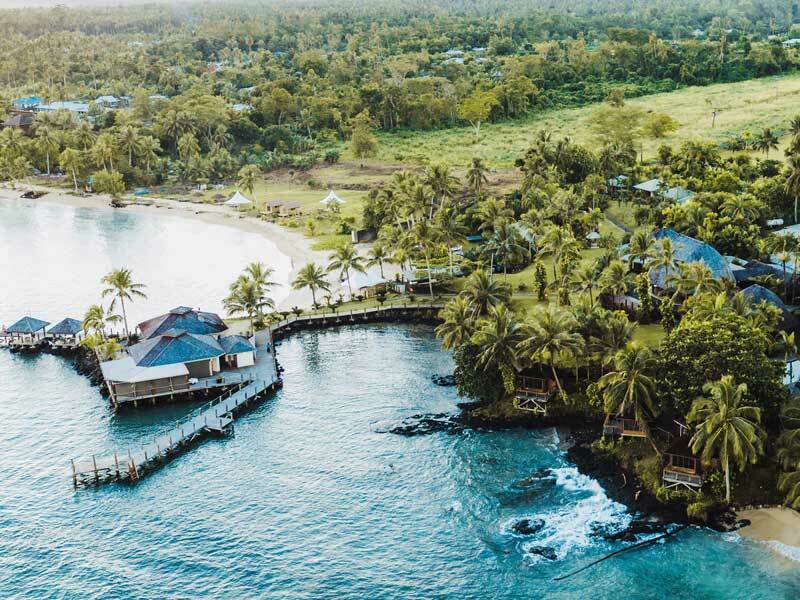 Sinalei Reef Resort & Spa is also one of the only resorts in Samoa to have a golf course nearby, so it well and truly accommodates all kinds of holidaymakers! Treat yourself to pure island pleasure in your Traditional Garden View Villa. 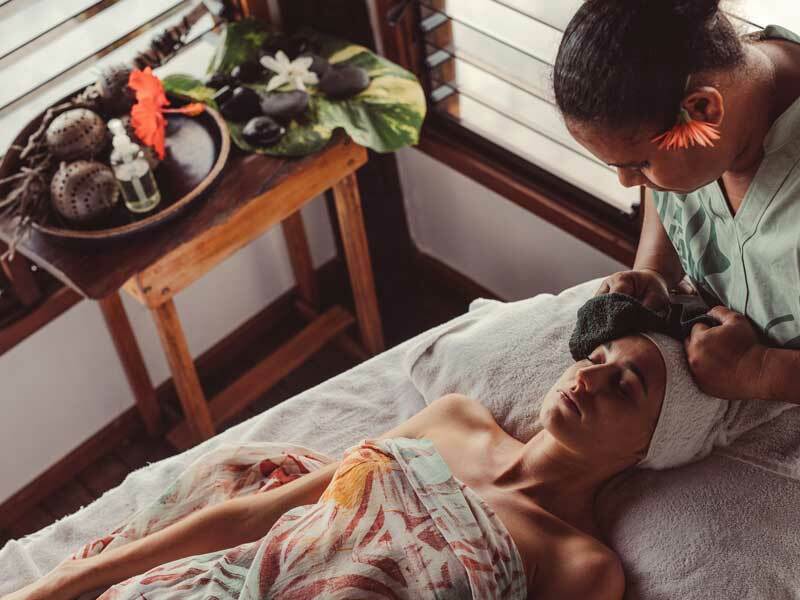 Surrounded by lush tropical gardens and boasting a unique blend of modern décor and authentic Samoan charm, these secluded villas offer a chic twist on tradition. Traditional Garden View Villas are private and spacious. They boast a King bed, air-conditioning, a ceiling fan, a spacious separate bathroom and a furnished patio so that you can enjoy the tropical breeze! Shower in the moonlight or soak up more of the sun’s rays during the day—these villas also feature a private outdoor shower for a truly unique bathing experience. They are ideal for 2 guests but can accommodate up to 3, with additional bedding available on request. Bask in stunning natural light both on your patio and inside your Superior Garden View Villa. Nestled into lush natural foliage, you’ll feel at one with nature here. 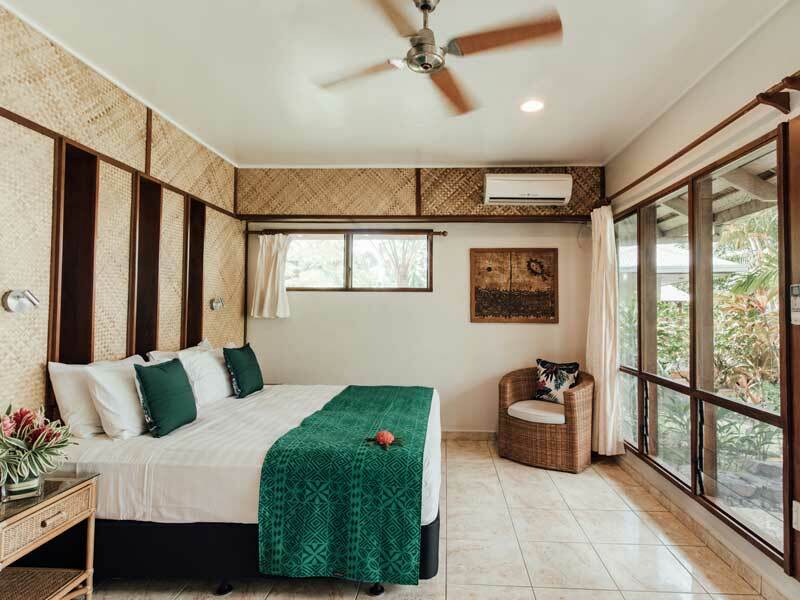 Sink into plush King bedding; keep cool by opening up the space, using the air-conditioning or the ceiling fan; enjoy the vibrant, Samoan-inspired décor or bask in the sun and serenity on the furnished patio. The most unique aspect of these Superior Garden View Villas are the spacious, separate bathrooms. Boasting a glass ceiling and tiled in natural stone, you’ll be able to bathe in luxury and sunlight when you prepare for each day here! Superior Garden View Villas are ideal for 2 guests but up to 3 guests can be accommodated with additional bedding available on request. Embrace natural Samoan beauty at its absolute best when you check-in to a Superior Ocean View Villa. Surrounded by lush tropical gardens and facing out toward the sparkling aqua lagoon, you’ll find peace and serenity in no time! Take in the views from your private, furnished patio or open up the space to enjoy it all from the comfort of your plush King bed. Superior Ocean View Villas feature air-conditioning, ceiling fans, tea and coffee making facilities and more. Prepare for each day bathed in natural light in the glass-ceilinged bathroom and enjoy the Samoan-inspired design, art and style that features tastefully throughout. Superior Ocean View Villas are ideal for 2 guests but can accommodate 3, with additional bedding available on request. Gaze out at spectacular Samoa ocean views from the beautiful expansive deck of your 1 Bedroom Ocean View Villa. 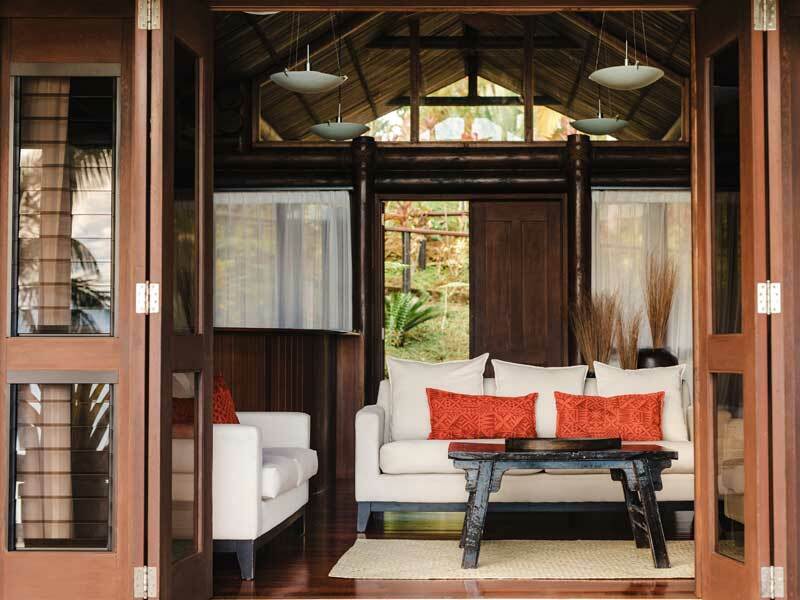 Open the doors of your villa to experience a modern rustic-luxury interior that intrigues and delights in the spirit of true Samoan hospitality. Designed for both couples or families, these villas are both private and spacious, boasting either dual sleeping areas or a stunning spacious nook to enjoy your morning routine. Get ready each day in a huge naturally lit bathroom, keep cool with air-conditioning and a ceiling fan and sink into a King bed at the end of the day for an incredible night’s sleep. 1 Bedroom Ocean View Villas are ideal for 2 guests but can accommodate up to 4 adults, with additional bedding available on request. Have breakfast in bed each morning as you look out over the turquoise waters from your Beachfront Villa. 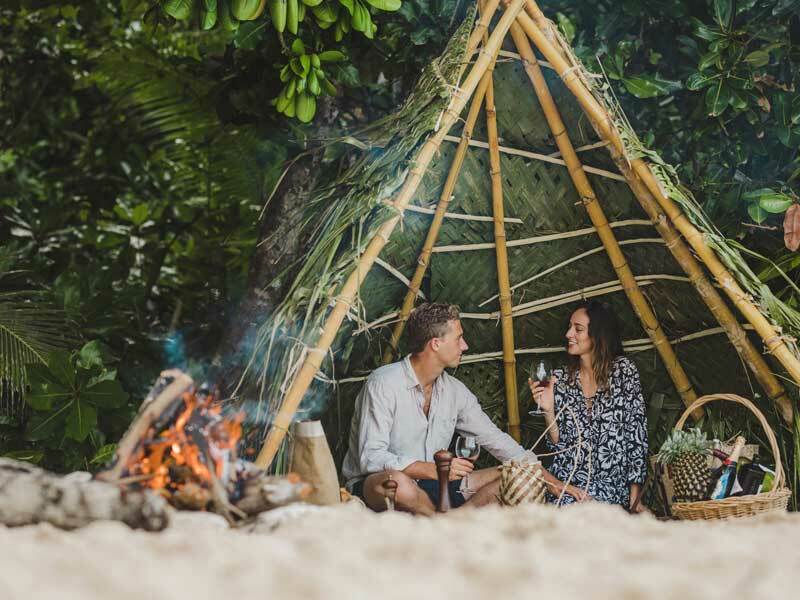 These eco-chic island abodes really are the most stylish and romantic villas Samoa has to offer! With a modern rustic-luxury aesthetic, boasting stunning dark timber floors accented by crisp white finishes and chic island style linens, these villas offer pure leisure. 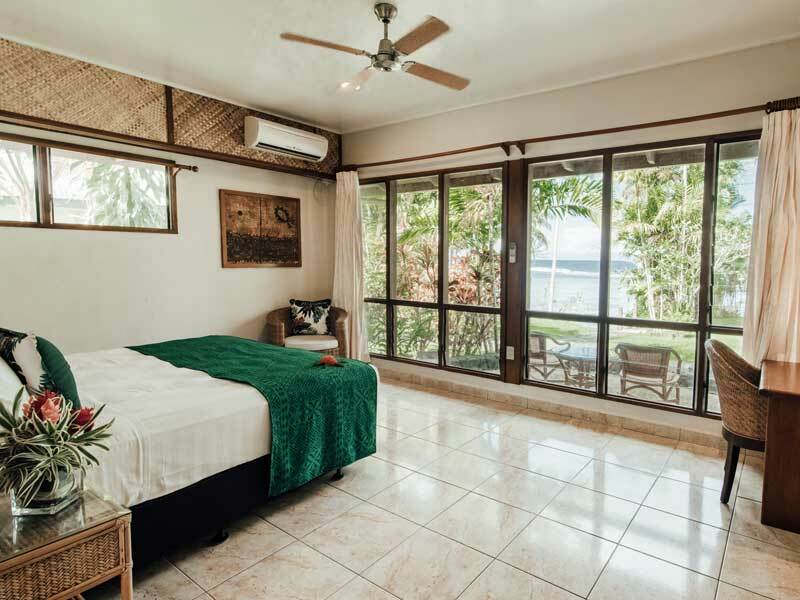 Lounge in the Samoan sun each day on a large deck over the waters’ edge and shower in a bathroom sparkling in a natural light, with timber finishes. Sink into a King bed each night and remain cool with air-conditioning and a ceiling fan. 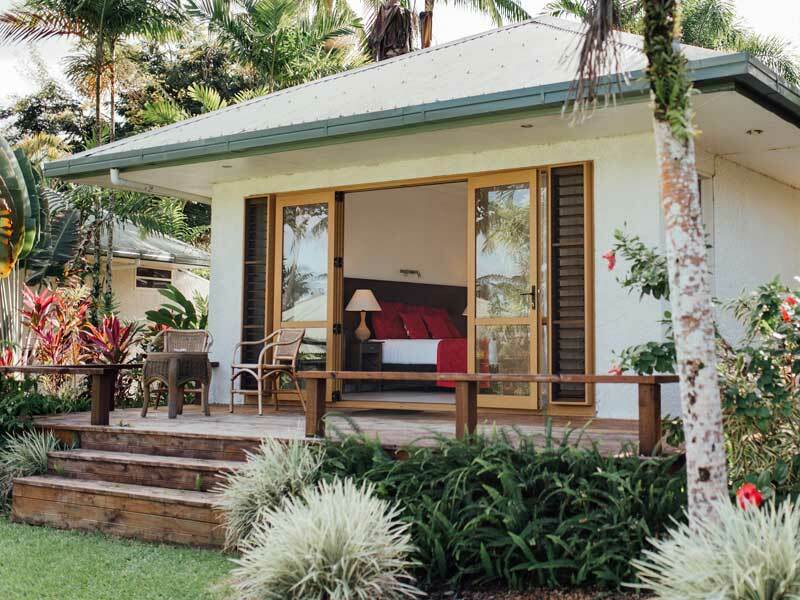 Designed specifically with couples in mind, these villas accommodate up to 2 adults. Relish the island vibes as you laze beneath the swaying palms on the beachfront deck of your 1 Bedroom Beachfront Villa. 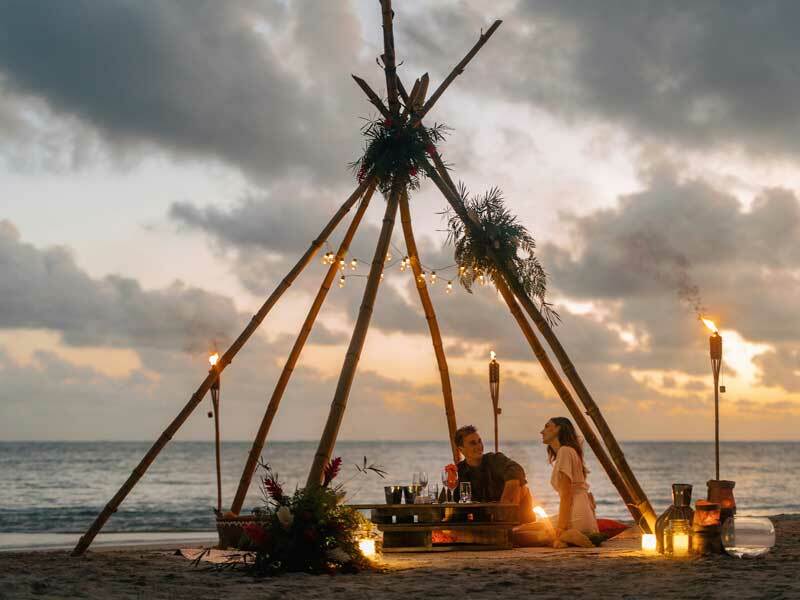 Experience natural beauty, stunning rustic style and sleep just feet from the pristine sands of the beach and jungle greenery of the resort grounds. 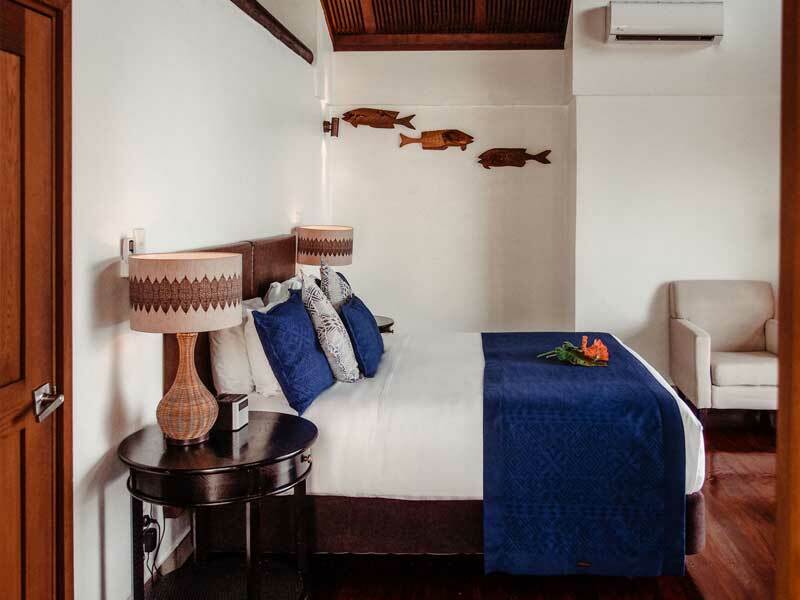 The 1 Bedroom Beachfront Villa comprises of 2 separate villas, 1 boasting the master bedroom, indoor jacuzzi and stunning panoramic deck, and the second comes complete with all the creature comforts including a private bar and entertaining area. Enjoy the pure luxury of 2 bathrooms, air-conditioning and a ceiling fan, television, Wi-Fi and a refrigerator. Designed for families, these villas accommodate up to 4 adults. Feel perfectly positioned in your 2 Bedroom Beachfront Villa with panoramic views across the stunning white sands and turquoise lagoon. The residence comprises of 3 standalone villas joined by walkways and perfectly appointed gardens, affording you the utmost in barefoot luxury and embodying the ambiance of island style! One villa boasts the master bedroom, indoor jacuzzi and stunning panoramic deck. The second villa comes complete with all the create comforts including a private bar and entertaining area. The 3rd villa opens its doors to you with the 2nd master bedroom and private deck. Enjoy the pure luxury of 3 bathrooms, air-conditioning and a ceiling fan, television, Wi-Fi and a refrigerator. 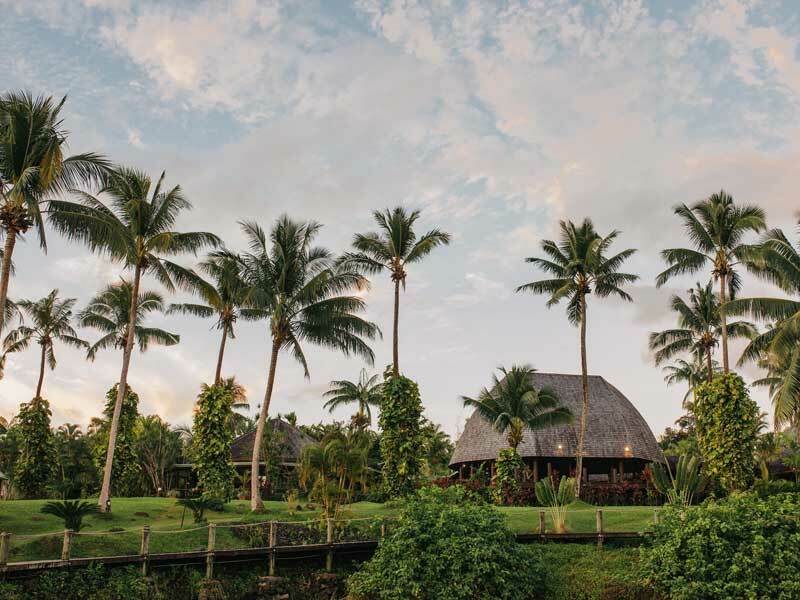 Designed for tribes, these villas accommodate up to 6 adults! PLEASE NOTE: Additional bedding may incur fees. 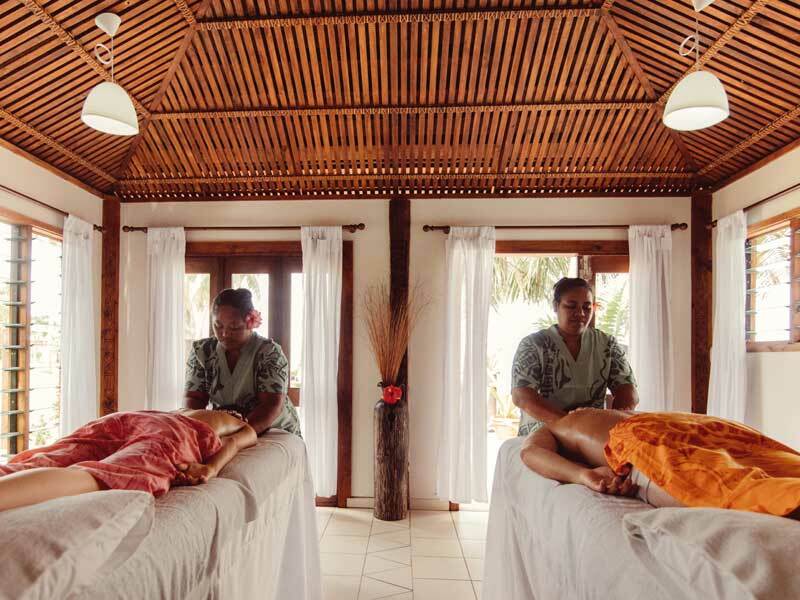 Sinalei Reef Resort & Spa is located on the beachfront the village region of Maninoa, on the south coast of Upolu. 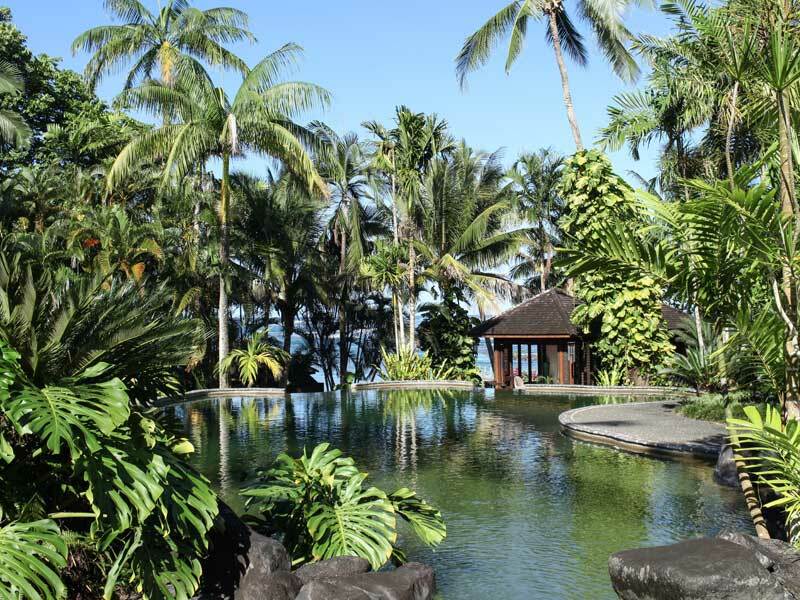 The resort is set between the Main South Coast Road and a stunning, sheltered ocean lagoon. It is just 45-minutes from the Faleolo International Airport by car and a 20-minute cruise from the capital city, Apia. Sinalei Reef Resort & Spa proudly celebrates both tradition and love. 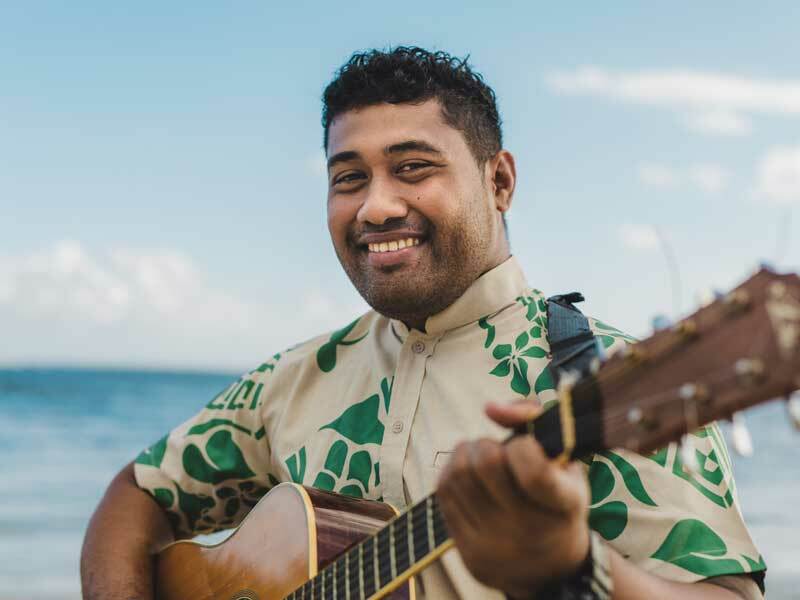 The natural environment, Samoan culture and surrounding local villages are very important to the resort staff—the land on which Sinalei Reef Resort & Spa stands has over a century’s worth of significance to local communities and the resort show their appreciation of it by giving back. Guests can join in with Sinalei’s community programs. From attending local rugby games, to volunteering at village schools, hospitals and community centres, there is plenty to do if you choose! 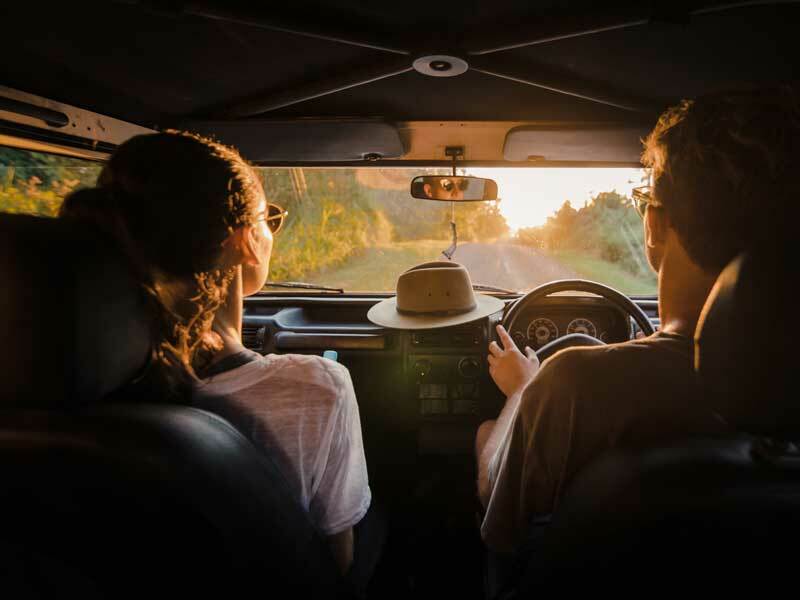 If you’re into the environment, you can take part in the resort’s environmental initiatives or tour to nearby landmarks. The Papaseea Sliding Rock is just over 4-kilometres away and the Togitogina Waterfall and Papapapaitai Falls are within 10-kilometres. Perfect spot to relax! Location was wonderful, right on the beach with kayaks and snorkeling gear to hire. The pool is a lovely temperature and looks out over the ocean. 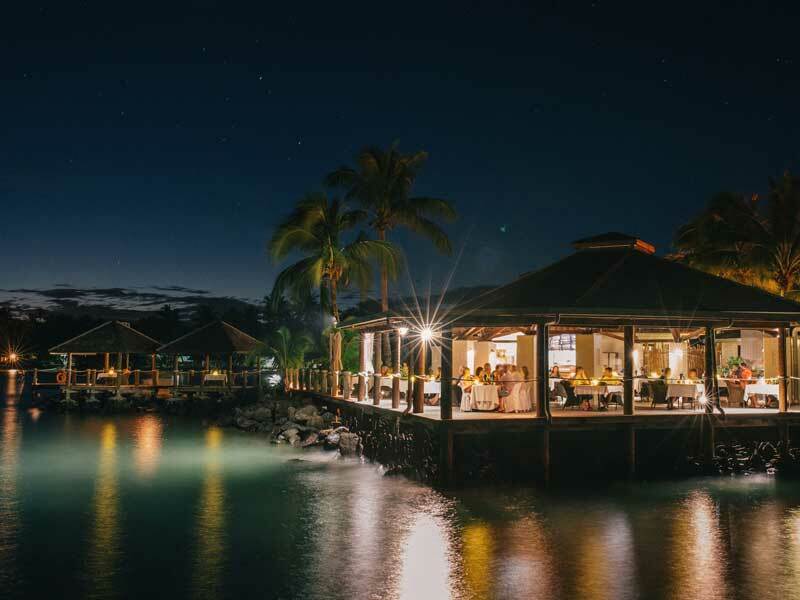 The food at the restaurant down on the water is excellent and I would highly recommend the spa – the massages were amazing! Also, it pays to mention that the hotel has a ‘no children under 12 years’ policy which, for a young childless couple, was fantastic! Overall, we had a brilliant stay at Sinalei. The staff made us feel welcome and ensured that we had a great holiday – we will be back! 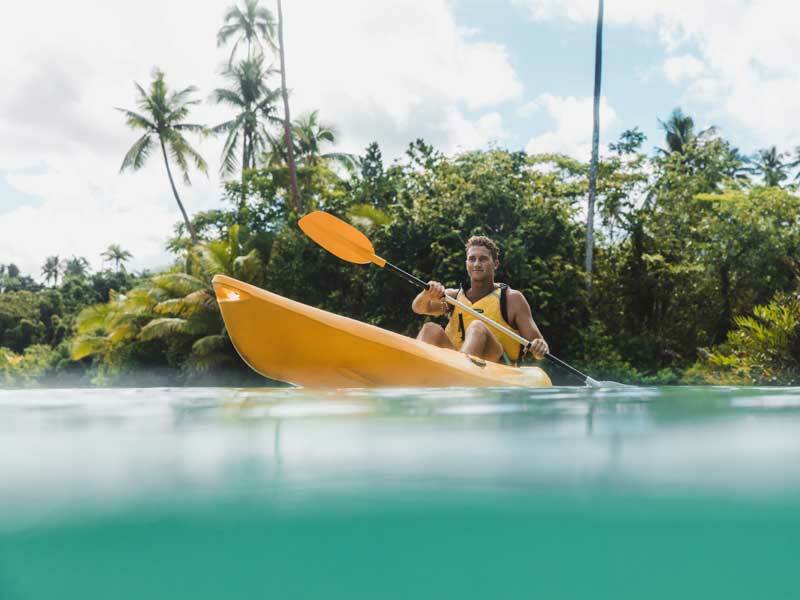 Our travel experts have done the research to hand-pick only the finest resorts in Samoa based on quality, service, and location. If we wouldn’t stay there, you won’t find it at My Samoa!